In Trilokpuri, the killings continued through the night and into the second day. 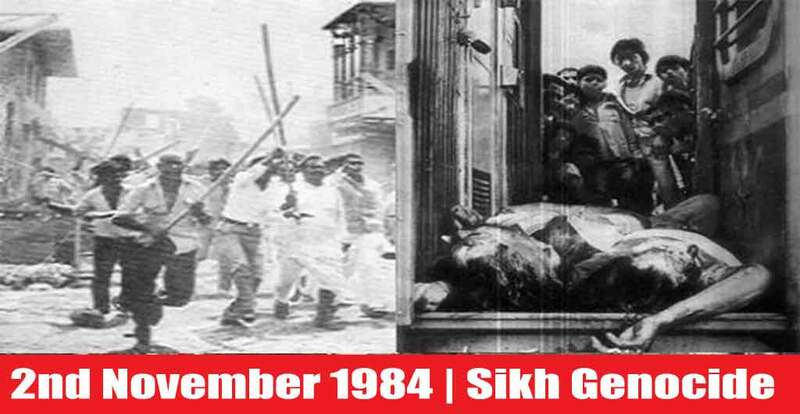 The mobsters were in no hurry; they searched for any Sikhs left hiding and targeted those Sikh houses they suspected may have been initially missed. The surviving women had no means of escape as the attackers had picketed guards at each corner. So, the Sikh women remained in the shells of their burnt out houses, dazed by the violent frenzy they had just witnessed in the past 24 hours. In many cases, these women had married into these same houses, raised their children within these walls and now all around them lay the burnt out bodies of their husbands, sons and loved ones. Furthermore, the terrified Sikh women and girls remained vulnerable and in grave danger of sexual violence. They were at the mercy of the roaming mobs and with no-one to offer them protection. The rapes and abductions continued, in some cases, mothers did not even know the whereabouts of their daughters. In one reported case, thirty young Sikh girls had been abducted and taken to the nearby village of Chilla Gaon, a village where many of those who had attacked Trilokpuri, hailed from.